If you’re following this blog, my guess is that not only are you a fashionista, but you probably shop often online too! Being an avid online shopper myself over the years (and shopping for many each month as a personal stylist!) If there is one thing I tell people before ever purchasing an item online, it is to look for a coupon or deal on that product or site first before purchasing! 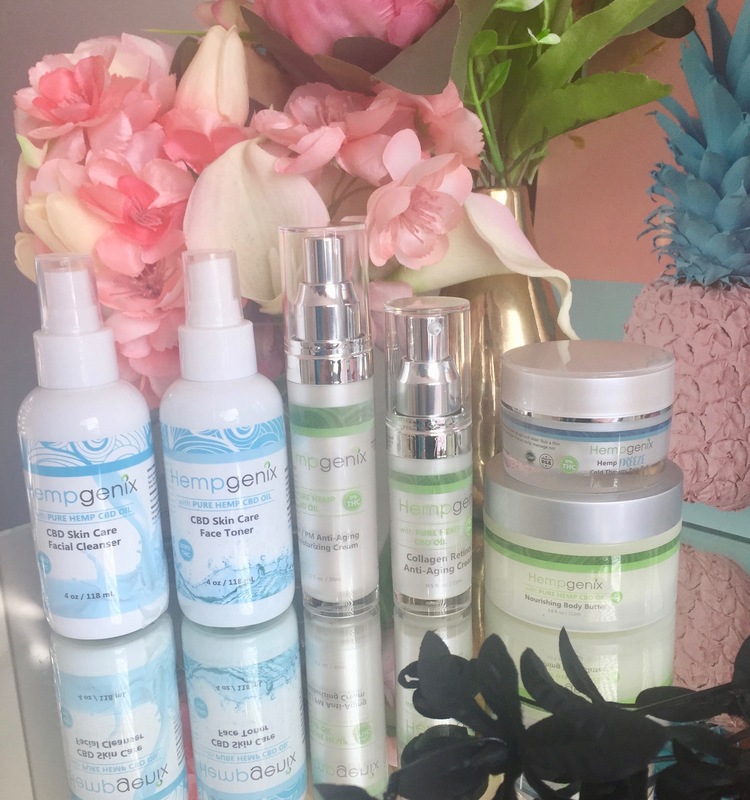 It’s easier than you think and more often than not you can find some type of discount wether it be a substantial discount and savings or even just FREE shipping! If you’re shopping online, you should never be paying full price! Not only that, but you should also Be EARNING CASH for shopping too! So how exactly do you go about this? Finding deals can be time consuming and a total headache when checking out lots of different deal sites. My favorite is Dealspotr, which started up in 2015 and has already saved shoppers over 15 Million in online purchases! The cool thing about this site that you won’t find anywhere else, is that it keeps all online posted deals in one place! You can find deals on everything from fashion to electronics here! Find savings to use in restaurants, grocery stores, and even for booking your next vacation! You can also find out how to earn money for shopping here, and you can earn gift cards for posting deals here too! One of my very favorite features of Dealspotr, is that it allows you to save deals to your own personal feed so you can easily find them in the future! Dealspotr is the only deal site to give you your own personal feed of deals. Similar to your Facebook news feed, you can subscribe to specific brands, topics, and people, and curate a daily feed of deals personalized just for you! Also, if you’re a blogger, Dealspotr makes it super easy to share deals on your blog and social media with their awesome deal sharing widget! I use it all the time as it helps me share deals easily and quickly and I earn money when these links are shopped too! Dealspotr is the “Wikipedia of deals” – the content is crowdsourced, meaning that the 30,000 members who use this site, add, edit, and police all the deals on Dealspotr to ensure all deals posted on DealSpotr are accurate and complete! Dealspotr has the highest coverage and reliability of coupon codes in the industry! Due to their large and ever growing community, they have the best coverage of promo codes vs Retailmenot, Coupons.com, Groupon, ShopatHome, or any other coupon site online! Dealspotr is viewed by over 1 millions shoppers per month, and is one of the fastest-growing deal sites online! Once here, you can start clicking on the deal to direct you to the website to shop with the deal, or you can use the buttons below each deal to like and share on Facebook, save to your own Dealspotr savings feed, share on your social media or blog, or share on Dealspotr with other Dealspotr users. 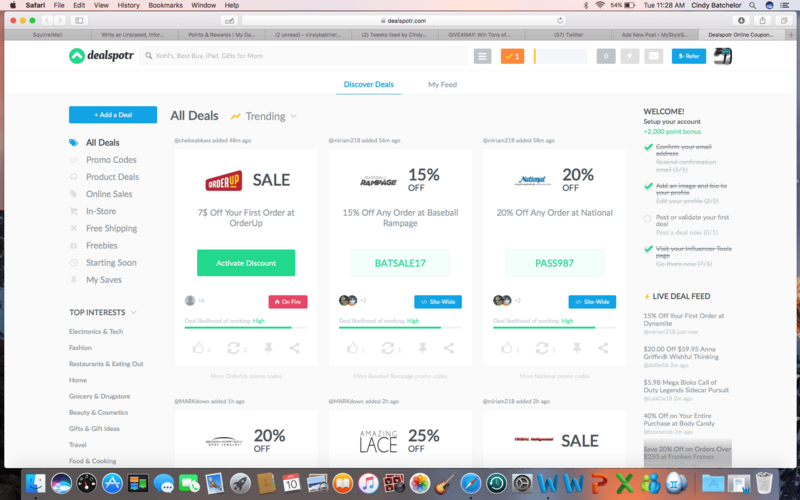 On the left you’ll see the toolbar to easily find deals on your favorite sites and products. You can also easily post a new deal you find at any time by clicking the Blue “Add a Deal” button on the top, left hand side. The More you share deals, the more you’re able to earn gift cards from Dealspotr! I’ve already earned a $20 Amazon gift card in just a few short weeks of posting and sharing deals! You can also find and share cool FREEBIES on Dealspotr too! Ready to start saving yourself money on your next online purchase, as well as earning gift cards for sharing online deals you find? Use This Link and get 5,000 points just for signing up, completing the easy and quick sign up checklist and posting your first deal!